Another variation of successful bathroom reader single topic books. Most bathroom readers are sold to males, this book would target female audience. Pitch to all women who have bought for their man or to men to buy for women and give them equal time. Why a book celebrating Mommy? 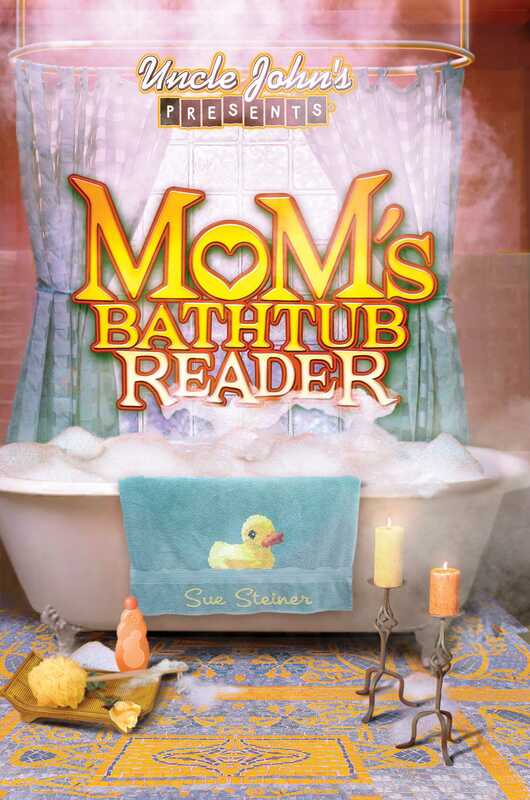 Abraham Lincoln said it best: “All that I am or ever hope to be, I owe to my angel mother.” Uncle John’s Presents Mom’s Bathtub Reader is the only book of its kind--an entertaining and upbeat collection of stories celebrating all things maternal. Mom will be tickled pink by these 300 pages we’ve lovingly put together. So turn on the faucet, climb into the bubble bath, and lose yourself in . . .